Michael Gove is considering a ban on the live export of animals after Brexit to help the UK become a world leader in animal welfare. The environment secretary has asked industry experts and campaigners to submit evidence on the process, with "all options" being considered. 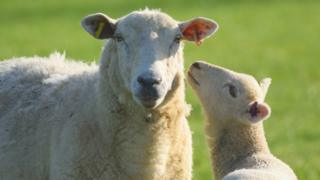 Labour called the announcement "weak" and it wants stronger action.The National Farmers' Union estimates up to 20,000 live sheep - but no cattle - were exported to Europe in 2017.The rules of the European Union's single market currently prevent the UK from banning exports of livestock, according to BBC rural affairs correspondent David Gregory-Kumar. Launching the consultation, Mr Gove said the UK already had some of the highest animal welfare standards in the world, but the government wanted to keep to their manifesto promise and improve on them. He said: "All animals deserve to get the respect and care they deserve at every stage of their lives. "With all options being considered, I am keen to hear from industry, the devolved authorities and charities on all possible options and evidence on this vital issue." Critics of live exporting have welcomed the consultation.British Veterinary Association president John Fishwick said his organisation would be contributing. He added: "Animals should be transported on the hook, as meat, not on the hoof, as live animals. "It is vital that we maintain the UK's current high standards of animal welfare post-Brexit and seek opportunities to improve them. "Dr Marc Cooper, head of the RSPCA's farm animals department, said the charity had been calling for a ban "for decades" and was pleased about an opportunity to end the practice. But Labour's shadow environment secretary, Sue Hayman, said a consultation did not go far enough. She said: "This weak announcement only amounts to a call for evidence and is just the latest in a string of desperate attempts by the Tories to portray themselves as animal-friendly. "Over the last year the Tories have supported a free vote on bringing back fox hunting and overseen the largest number of badgers culled across England on record. "Labour is the party of animal welfare and our proposed 50-point plan goes much further and proposes a ban on live exports for slaughter or fattening. "A review into the existing welfare standards for animals during transport has also been launched by the Farm Animal Welfare Committee and research on the issue is being undertaken by Scotland's Rural College and the University of Edinburgh. » Brexit: Does the EU stop the UK improving animal welfare?